It is a short simple in-office procedure that takes less than 20 minutes. At HealthCare Now we perform NO NEEDLE NO SCALPEL VASECTOMY. Which makes the procedure virtually painless. Additionally, this method allows for quick healing and minimizes the chance of infection. Most patients can return to work within 1-2 days. For those uninsured patients we are currently running a special rate of $399, the provided fee is paid in full before the procedure is performed. 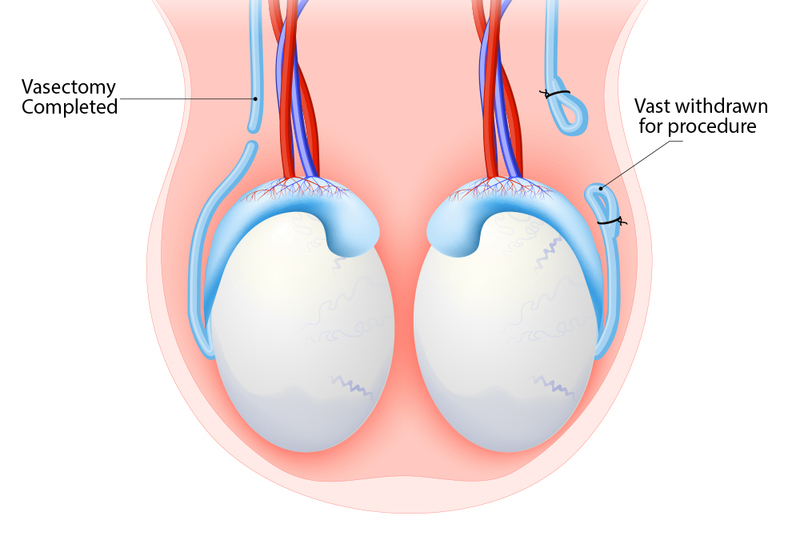 Well, in the male the testicles produce sperm, the sperm travels up into the body via a tube called the vas deferens. 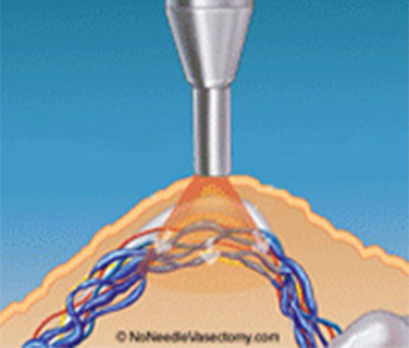 In this procedure, we cut the tube so that the sperm can not enter the ejaculated fluid. Therefore no pregnancy can occur. the literature sites a failure rate of 1 in 2000 men. That is in some cases the tubes sometimes reconnect. However we are happy to report of all the vasectomies performed at HealthCare Now, to date, we have not had a single patient that it was not fully effective on. We believe that this is due to the fact that we not only “tie the tubes” but rather we cut out a small segment of each tube, seal the ends with a cautery device and then stitch the tube ends far from one another. What can I expect in my procedure? 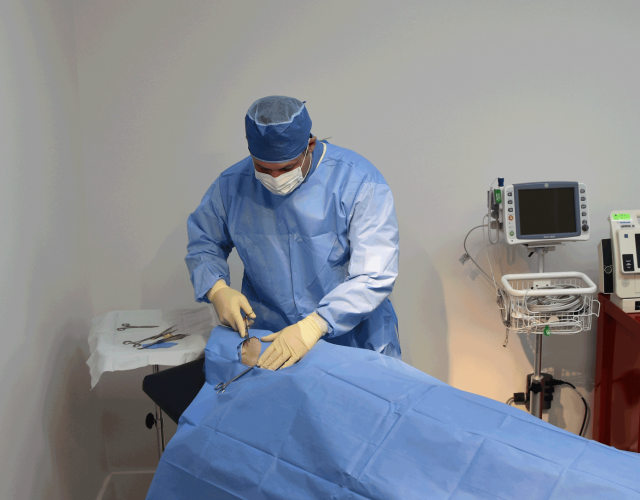 First, you will lie down on the table and the genital skin will be cleaned with a surgical prep solution to fully clean and disinfect the area. Then we use a high-pressure device called a Madajet to spray the numbing medicine onto the skin. A tiny puncture is made in the scrotum skin which you will not feel. The vas deferens (a tube that carries the sperm), is carefully brought out through this tiny puncture, at that point we remove a segment of the vas deferens, seal the ends of the tube with cautery and orient the 2 remaining ends away from one another. The same procedure is done on the other side through the same hole that was made earlier and that’s it. No stitches in the skin or anything. Most men say it is either not painful at all or slightly uncomfortable. Typically, during the procedure most men are very relaxed and carry on a conversation with me during the procedure. Healthcare Now offers a free vasectomy consultation.